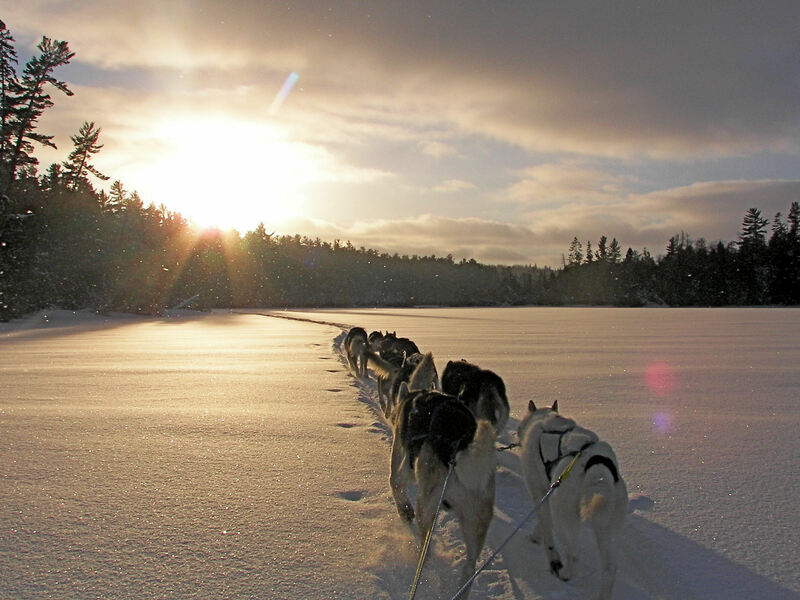 Mushing is back at Bearskin for the 2018-2019 winter season! Many of you know that Erik, our long-time musher, retired last year. Ever since then, we’ve been on the hunt for the ideal replacement. Erik is a hard act to follow, but we think the team of Erin Altemus and Matt Schmidt will offer an equally outstanding dog sled experience for Bearskin guests. Matt and Erin started running sled dogs at YMCA Camp Menogyn on the Gunflint Trail 15 years ago. Several years later they started their own kennel and began racing. 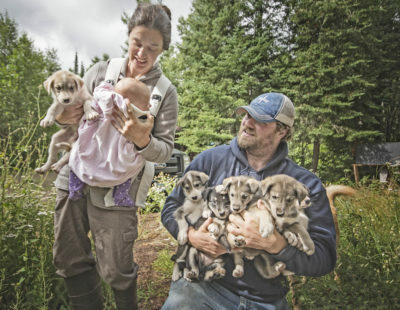 Now they have almost 40 dogs in the deep woods off the Gunflint Trail and a daughter Sylvia, who is one and a half and aspires to run the dogs someday. 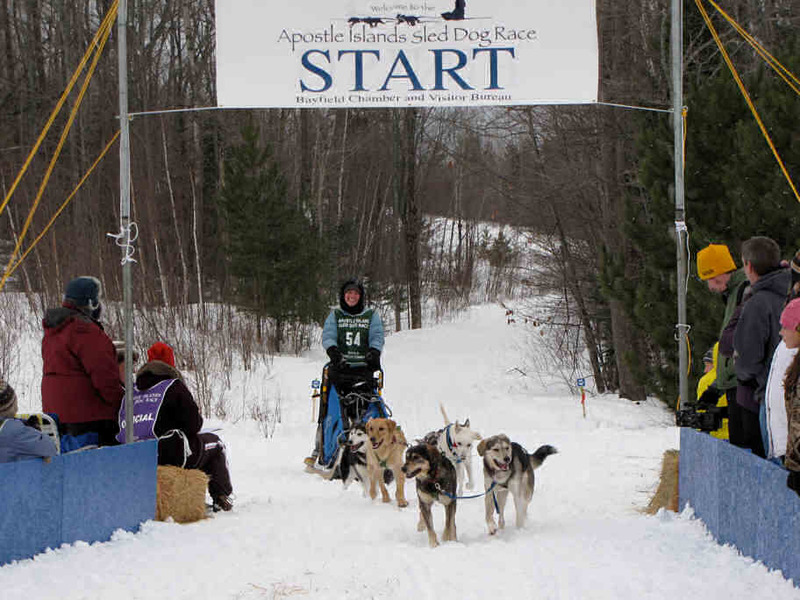 Matt and Erin take turns racing the dogs in the Gunflint Mail Run and Beargrease every year and often run races in Michigan and Maine as well. 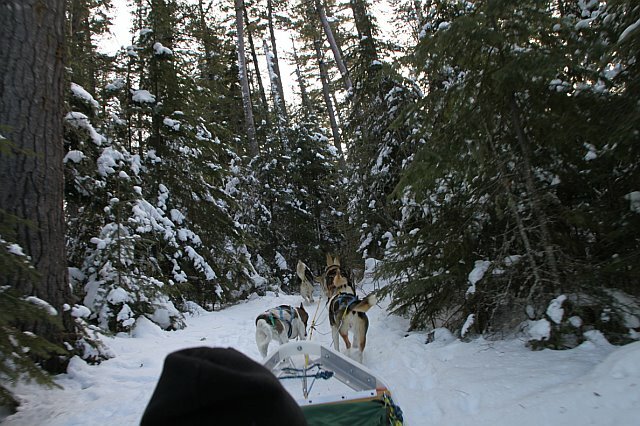 This year they bring their guiding experience to Bearskin to offer tours and education about mushing. Erin and Matt will be here on a limited schedule this year, and their dates will fill up, so give us a call early if you’re hoping to experience a dog sled trip during your Bearskin stay. Darn, what if our Bearskin visit doesn’t coincide with these dates? We suggest contacting Adam Treeful, of Treeful Adventures, located on Devils’s Track Lake. He can be reached at (218) 387-4996. More info can be found on his business Facebook page here. Devil’s Track Lake is off the Gunflint Trail, closer to Grand Marais, about 30 miles from Bearskin. Adam is a very experienced musher who has run dogs at resorts for years and recently went into business on his own. Call early, as he does book up for popular times.